Obsessive Compulsive Disorder (OCD) is a type of anxiety disorder. It manifests with two components: obsessions and compulsions. The obsessions are unwanted and recurring thoughts, images, beliefs, or impulses that are intrusive and upsetting for people. Common obsessions include fear of contamination, having things orderly or symmetrical, aggressive impulses, or sexual images or thoughts. Compulsions are repetitive behaviors people feel compelled to do in an attempt to reduce anxiety stemming from the obsessions. Examples of compulsions include washing, cleaning, counting, checking, orderliness, or hoarding things. An important qualifier for OCD is that it is interfering with a person’s ability to function. Many people have obsessive or compulsive “quirks”, tendencies, or traits, but they are not of the level or degree that it is causing them problems in their lives. A thorough mental health diagnostic evaluation should be sought if you believe you have OCD. Symptoms of OCD include either obsessions and/or compulsions. Obsessions are recurrent and persistent thoughts, images, or impulses that are intrusive and cause anxiety; are not just excessive worry about real life problems; attempts are made to suppress or ignore the thoughts; and are recognized to be a product of one’s own thinking. Compulsions are repetitive behaviors that a person feels driven to perform in response to an obsession; the behavior or act is intended to somehow prevent or reduce the feared obsession. The obsessions and/or compulsions are recognized by the person to be irrational and unreasonable. The obsessions and/or compulsions are taking more than an hour a day. For most people OCD starts in childhood or adolescence with most people being diagnosed around 19 years old. Symptoms of OCD may come and go but tend to be worsened by stress. Most people recognize that their obsessions and compulsions are irrational. 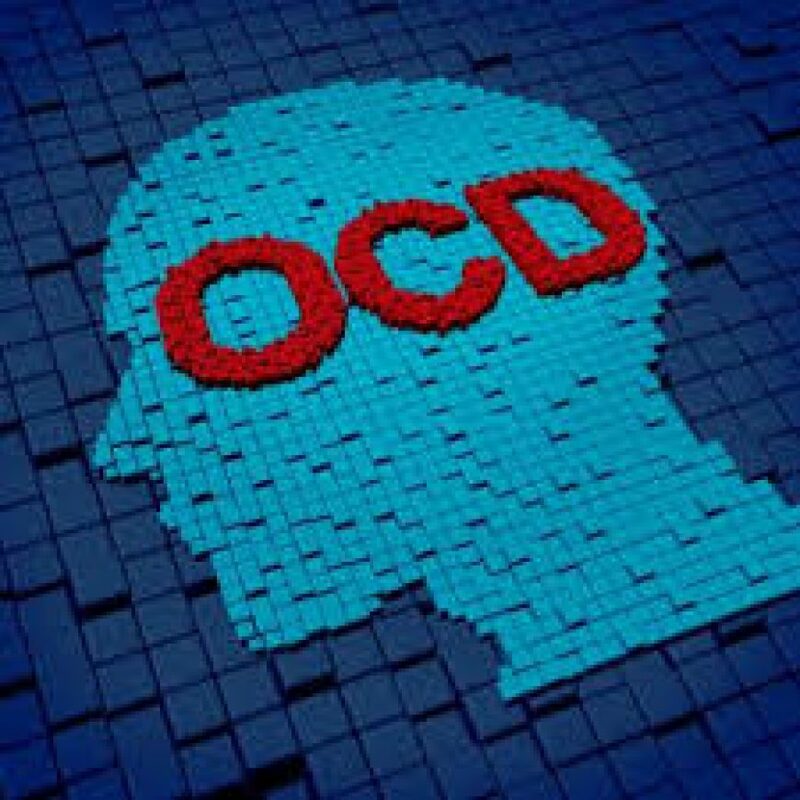 Although OCD can take countless forms, most people fall into one of the following categories: washers who obsess about contamination, checkers who repeatedly check things (locks/doors) that they associate with harm, doubters or sinners who worry that if everything isn’t perfect something terrible will happen, counters and arrangers tend to have superstitions about numbers, colors or arrangement, and finally hoarders fear something bad will happen if they throw something away. There is new research that is linking strepptococci (strep) to some forms of OCD. Research points to evidence that the antibodies acting against the bacterial infection is effecting on certain brain enzymes that disrupt communication between neurons and results in OCD. Obsessive Compulsive Disorder is most effectively treated with a combination of medication and cognitive behavioral therapy. Certain antidepressants that target serotonin (SSRI’s) seem to be more effective with OCD. Cognitive behavioral therapy that focuses on exposure with response prevention involves exposing the person to their obsessive fear and then preventing the compulsive behaviors that usually reduce the anxiety. Studies show this can actually “retrain” the brain and greatly weaken or eliminate the obsessions. Other cognitive work focuses on catastrophic beliefs and exaggerated sense of responsibility people with OCD tend to have. If you believe you might have OCD, you should get assessed by your physician or a mental health specialist to assist in making a diagnosis and figure out the best course of treatment. In addition, you can read about OCD and its treatment. You can join a support group, practice skills you learned in therapy, get support from family and friends, and practice relaxation techniques. If you are concerned you might have OCD, please call us now at 763-416-4167, or request an appointment on our website: WWW.IPC-MN.COM so we can help you determine if you are struggling with OCD and what the best course of action is for you. Life is too short to be unhappy. Find the peace of mind you deserve.